Challenge #02262-F072: Cold Revenge by Proxy (Number 238)steemCreated with Sketch. Simply a story over a bloodthirsty psychopath, who listens to classical music, while ripping the faces of his enemies off and bathing in their blood. There is something to be said about Chamber Music. It inspires the mind. It lifts the spirits. It's an excellent counterpoint to the screams of your enemies. As an aficionado, I know it was originally created to provide a pleasant background to high society hobnobbing. Proof one could afford musicians to play just so the performance could be talked over. I pity those ancient musicians, sometimes. Imagine that poor luckless soul, working on their art just so they could sit in a corner and watch people ignoring their performance. I suppose it paid the rent. Maybe they didn't care. Maybe they were convinced that this was the best they could expect out of life. No wonder the revolutions came. I'm merely a revolution of one. A singular performer in an opus made of blood and skin. A literal once-in-a-lifetime experience for those I render. I am sent against those who are an affront to civilisation. It's only fitting that they get to observe the beauty of it before they expire. Of course they don't appreciate my art. The fact that it's rendered in their blood and flesh might have something to do with it. Oxide blood has so many colours. Reddish brown, blueish, greenish... there's even a species or two with yellow or black bloods. Those are rare. I did try painting with blood samples once or twice. It's difficult to transport the colours and even more difficult to preserve the results. Besides, the colours are muddy and the resultant work is... depressing. I much prefer the ephemeral nature of my works. A temporary installation of suffering. Today's central source didn't appreciate the music. They had no truck with Terran Chamber Music until I got to the flautists and removed most of their tongue. I'd had enough of their pompous palaver anyway. They kept claiming that their loyal subjects would rescue them from my performance. They had no idea that their 'loyal followers' had set me against them in the first place. I stepped back from the canvas of his bleeding flesh. Small wounds made them last longer, and let me express myself in the artistic excising of the outer dermal layer. I collected their blood as it fell free. It did have an interesting colour, and haemanalysis said it could have interesting properties. With some interesting chemistry and assurances that there weren't any hidden pathogens, I could craft his blood into some delightful bath bombs. 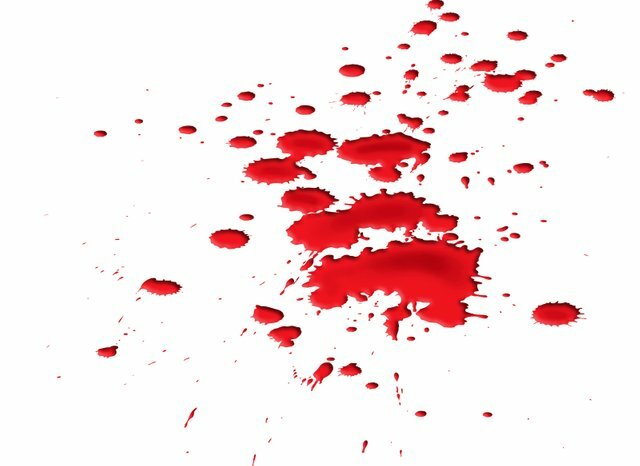 Bathing in blood sounds poetic, but when you get to the gritty details, you find it is supremely unhygienic in its purest form. Blood carries so many diseases. Human blood, especially, is vector to so many horrible things once it is free from its host. It's the reason why post-mortem cleanup is such a lucrative business to this day. It was time to let this one scab over, I thought. My bonus depended entirely on how long they physically suffered. Time, too, for the testimonials. Time to let them see why they had come to me. After an hour of recorded audio and video, they would be allowed to eat. Plain fare, as dictated by my contract. The 'perfectly safe' rations they decreed the poorest of the poor receive. Calorically balanced if one included the maggots and the weevils. of course, they were too numerous to pick out once one was sufficiently deprived. Three more such 'meals' and I could induce their species particular variant of Pellagra. I would be recording that aspect of my work for posterity. Diseases caused by deprivation are so fascinating, don't you think? The spoons I let them eat with are also edible. Grains cooked into a paste and pressed until hard. Eating them requires a lot of patience or causes a lot of dental damage. It's always interesting to watch how much pain a subject causes themselves. What they are willing to sacrifice for a particular gain. Of course, sooner or later, they won't have any teeth left to damage and the test will be how hard they are willing to fight for the privilege of being allowed to suckle their spoons into something they can swallow... or whether or not they think choking on them is a greater mercy than one more day in my... studio. Did you know? Some of them fall in love with me, towards the ends of their days. It's peculiar. All I give them is pain. All I take from them is blood. Nevertheless, they fixate on the only source of touch they've known for months. Sometimes, for years. My art is long and slow and my days are filled with music, screams, and blood. I'm the only one I know who can live like that. They don't last, my pets. My pet projects. I know everything there is to know about getting the most blood and the most screams out of any individual. I'm paid very well by the hour for my special knowledge. I live in luxury between projects. Love... Love is not something I understand. Those who fall in love in my studio are not going to last any longer than those who spend their last breath attempting to spit in my eye. For them, it might be a tactic. They may be trying to gain my favour. They certainly don't understand that my studio is the last room they will ever live in. By the time they reach me, it is already too late. It may have been too late for years before we meet. It certainly was for my current project. They'll be perishing next week, if I have everything correct. A combination of malnutrition, lack of exercise, and emotional deprivation. Nothing I can do about it. I think I shall let them listen to Claire de Lune during their final moments. Overlain by the testimonies they haven't had a chance to hear. Heaven and hell together in the last sense to go. A fitting end for one who lived in heaven by putting their subjects through hell. It had been a long time since I ran into a character like this. It makes us remember the twisted minds of classical literature and classical sensational journalism. I'm the only one I know who can live like that. Unfortunatelly, I think there are way too many nameless characters such as this one, who actually enjoy sadistic art. The recent scandals around the Arabic prince and his court of itinerant tormentors just reminds us how power and money are actually closer to cruelty than we think (given that we associate crime and violence with poverty and resentment). Interestingly, your character seems to be doing some kind of justice. If his clientele is composed of the like of the arabic prince or the bolivarian revolutionaries who built torture studios at the SEBIN, I'd be more than glad to donate my collection of classical music to support his cause.